Helen was born on April 30, 1926, to Alva and Rosina (Gooby) Wiley on the family farm. She was the fourth of six children. Helen grew up on the family farm and attended the Wewela School through the eighth grade. Helen and her sister Vi moved to Winner where she started her working career in the early 1940’s. Her first job was a cashier and running the Western Union Telegraph at the Peacock Café. Helen’s second job was a bookkeeper for the Westside Market and Gas Station. She then moved to the Winner Courthouse and worked in the Assessor’s Office. This was a job she loved until retirement due to health reasons. Helen was very proud of her self-taught skills and many accomplishments through her career. Labor Day was a busy time of the year for Helen as she could always be found fixing dinner and a variety of homemade pies for family. Aunt Helen’s home was always open to family where she became a second mother to her nieces and nephews. Helen gave good advice and a lot of love to her family and friends. Helen enjoyed knitting, picking apples from her apple tree and watering her many African Violets. 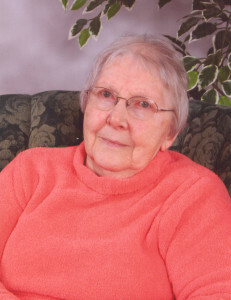 In 1996, Helen moved to the Elder Inn where she enjoyed her new home and many friends. She then moved to the Winner Regional Healthcare Center until the time of her death. Vernie was born on March 20, 1921 to Albert and Myrtle Blomstrom in Winner, South Dakota. Vernie attended Winner country school and Winner High School; graduating in 1939. Vernie married Albert Pederson on October 21, 1941. To this union five children were born: Brenda, Doug, Linda, Kevin and Clay. 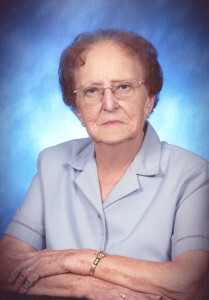 Vernie is survived by her daughter Linda Roberts (Tom) of Sioux Falls, SD. and son Kevin Pederson (Lori) of Scottsdale, Az. Vernie is also survived by 12 Grandchildren and 12 Great Grandchildren. Vernie was preceded in death by he parents Albert and Myrtle Blomstrom, her husband Albert, daughter Brenda Mahoney, and her sons Doug Pederson and Clay Pederson. Vernie dearly loved children, especially her grandchildren and great grandchildren. Vernie had a strong faith and belonged to the Catholic Daughters. For several years she enjoyed helping prepare meals on Fridays as a member of the American Legion. Bette Lou Blankenship, daughter of Vincent and Ruby (Duggan) Sharkey, was born in Chino, CA on May 22, 1937. As a child she moved with her family to a farm in Tripp County, SD. Bette Lou attended country school and later graduated from Winner High School in 1955. She taught and attended college at Southern State College in Springfield, SD earning her Degree in Teaching. Bette Lou was united in marriage with Richard Blankenship on November 30, 1958 in Mitchell, SD at Holy Family Catholic Church. The couple made their home in Mitchell. Bette Lou taught country school near Letcher, later in Ethan, SD , 25 years at Holy Spirit Elementary School, 8 years at Holy Family Elementary Schools and finally at 8 years at a substitute teacher. She retired from teaching in 2002. Bette Lou will always be remembered as “always helping everybody else first”. Bette Lou was an active member of Holy Family Catholic Church and was also very involved in the Democratic Party. 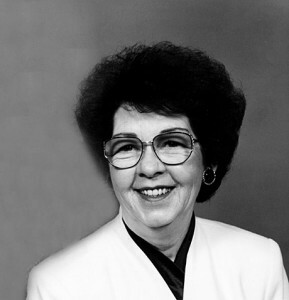 Bette Lou was award Teacher of the Year in 1986. 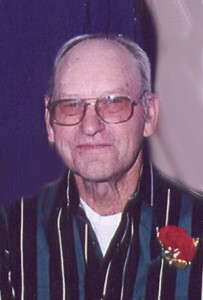 Sanford Bingen, 87, of Colome, South Dakota and formerly of Kennebec, South Dakota passed away peacefully with his family by his side on Wednesday, September 14, 2016. Sanford Merl Bingen was born at Presho, South Dakota on August 20, 1929 to George and Charlotte (Croston) Bingen. He had six brothers and one sister. On October 15, 1953 he married Geraldine (Gerry) Austin and to this union four children were born. Sanford served in the Marine Corp from 1951 – 1953 and was a lifetime member of the Colome American Legion. Sanford always said he was a “jack of all trades and a master of none”! His passion was farming and he spent many years on the family farm south of Kennebec, South Dakota. In 1994 they moved to Colome and he worked for Grossenburg Implement in Winner, until his retirement at the age of 80. He loved fishing, camping playing horseshoes and enjoyed spending time with his family. He was a loving husband, father, grandfather, a quiet gentle man and a friend to all. 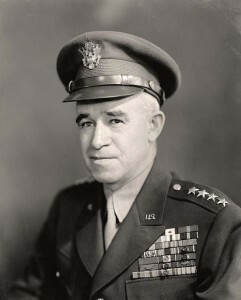 Gen. Omar Bradley led millions of U.S. soldiers in World War II, but first he led the Jackrabbits. South Dakota State College’s (now South Dakota State University) 1921 yearbook, the Jack Rabbit, states, “We can truthfully say that this has been one of the most successful years for the military department in the history of the college … The interest the men take and the splendid work the military department is doing are due to the efforts of Major Omar N. Bradley, our commandant. Major Bradley has served in the 14th Infantry since 1915, spending over a year in active service on the border (U.S.-Mexican). He is a graduate of West Point and has taken over the work as a West Point man would. “Not only has he organized the battalion and brought the drill to cover a larger scope of military tactics than ever before, but he has spent more time and energy in promoting the physical welfare of the students. This he has done by organizing classes in boxing and wrestling. He has also taken an active part in coaching athletics and has won a place in the esteem of every State student.” Bradley had joined the SDSC faculty in the fall of 1919. He had applied for a position as a military instructor at a college with a Reserve Officer Training Corps unit, wanting to teach in Washington or Oregon. The choice he indicated for geographic area, “Northwest,” denoted North Dakota and South Dakota, not the Pacific Northwest. After a summer at an ROTC encampment in Michigan and camping in Minnesota, Bradley and his wife, Mary, returned to Bookings in late August of 1920 prepared for another school year. “I was soon astonished to receive a telegram ordering me to duty at West Point ‘without delay,’ as an instructor in the math department,” Bradley wrote in his autobiography. Bradley was described as a tall man, at just over 6 feet, lanky, quiet, self-confident, a tough fighter and a brilliant military tactician. During World War II, Bradley was involved in every crucial decision that determined the outcome of the war in Europe from 1943 on. He was known as “The Soldier’s General” by his troops because of his concern for the men he led. Following World War II, Bradley directed the Veterans Administration, succeeded Dwight Eisenhower as Army Chief of Staff and later became first Chairman of the Joint Chiefs of Staff. He died on April 8, 1981, at age 88, the nation’s last five-star general. Though Bradley’s time in South Dakota was short, he seemed to enjoy it. An article in the Brookings Daily Register the day after the general’s death stated that Bradley became chairman of the board at Bulova. At the time of the article’s publication in 1981, Bulova watches were distributed to the outstanding ROTC graduate at SDSU, and outstanding members of the freshman, sophomore and junior classes received autographed copies of Bradley’s autobiography. A representative of Bulova said that when asked about Brookings, “He (Bradley) spoke at great length of many things, the fact that Brookings, at that time, had no paved streets, the football team he helped to coach, the boxing team that was formulated the same year, the wonderful hunting, the fine people he met, as well as the great group of reserve officers he commanded.” Bradley returned to Brookings at least once, in 1946, to hunt, according to the Register. “There is no standard against which to compare Bradley as an army group commander. During the fighting in Europe, his calm and effective presence was important in times of crisis, as was his deft touch in handling subordinates,” stated an online article courtesy of the United States Army Center for Military History. This moment in South Dakota history is provided by the South Dakota Historical Society Foundation, the nonprofit fundraising partner of the South Dakota State Historical Society at the Cultural Heritage Center in Pierre. Find us on the web at www.sdhsf.org. Contact us at info@sdhsf.org to submit a story idea. Attorney General Marty Jackley is encouraging South Dakotans to participate and follow National Heroin and Opiate Awareness Week. The Attorney General’s Office encourages everyone to learn more about the dangers that accompany this abuse. Knowing and recognizing the signs of opiate abuse can help prevent some from falling victim to this addiction. The addiction to heroin commonly begins with prescription opiate abuse. Both heroin and opiate addiction impacts the lives of so many individuals. Every single economic level is at risk, and it does not target a particular gender or specific age group. South Dakota suffered 49 accidental drug overdose deaths in 2015, several of which heroin and opiates were contributing factors. In August 2016, the Attorney General’s Office hosted an Opioid Abuse Training targeting attorneys, healthcare professionals, policy makers, law enforcement and service providers with the latest education and tools to help combat the problems that arise from opioid abuse. The Attorney General’s Office sponsored legislation in 2015 that would enable all first responders to carry naloxone, a medicine to reverse the effects of opioid overdoses. Having naloxone available is a cost-effective way to save lives especially to our rural first responders. The Attorney General’s Office has authorized the use of available drug control funds to assist units of local government and first responders with the purchase of the Narcan agent. The South Dakota Prescription Drug Monitoring Program provides physicians and pharmacists the opportunity to voluntarily access the prescription repository in order to have available additional medical history. At the request of the Attorney General, the PDMP was passed into law during the 2010 legislative session. The purpose of this program was to improve patient care by providing physicians and pharmacists with a controlled substance dispensing history for their patients. 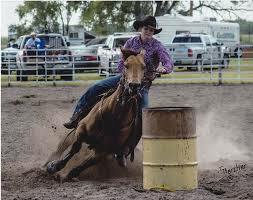 The Mid-States Rodeo Association Championship Finals Rodeo will be held Sept. 16, 17, and 18 at the Custer County Fairgrounds in Broken Bow, NE. The top 12 cowboys and cowgirls in each of 10 events have earned their way to the finals rodeo from competing in 54 rodeos in NE, KS, IA, NE, & MN. Winner hosts one of the qualifying rodeos. Dori Hollenbeck, Winner, has a commanding lead in the barrel racing for the championship title. Dori will be competing in the championship finals for the 36th time. She is the only person to accomplish this feat. Also qualifying for the Mid-States Championship Finals Rodeo in the team roping is Rod Buckley, Winner. Maureen Hollenbeck, Winner, has been chosen to time the M-SRA Finals Rodeo. Cody Hollenbeck, Long Pine, NE has been chosen as one of the pickup men. Matt Riha, Rapid City, who is Hollenbeck’s bullfighter, has been chosen to fight bulls at the Finals. Hollenbeck Rodeo Co., Winner, is one of three stock contractors providing bucking horses and bucking bulls for the Championship Finals Rodeo. 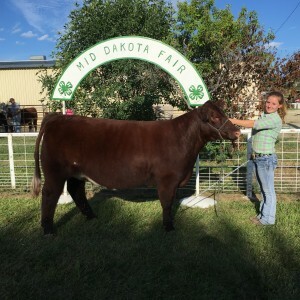 Members of the South Dakota FFA participated in a wide range of activities during the state fair. Savannah Vogel of Winner had the English division grand champion breeding heifer. Serving as SD FFA State Officers means more than wearing the FFA official jacket at events. State FFA officers represent the SD FFA in everything they do and are Forever Blue. Runnings Farm and Fleet of Brookings recognizes the important role these six college students play in representing the future of agriculture in their day to day activities and donated warm, durable coats to the team to wear this winter. The FFA jacket is worn only on official business. The navy Carhartt jackets donated by Runnings are durable and can go with them everywhere – over official dress in cold weather, to college classes, back home doing chores, or wherever needed, and keep them looking like a team. Sydney Peters of Winner is one of the state officers receiving the jacket. Peters is a freshman at South Dakota State University. Runnings surprised the officers with the in kind donation through the SD FFA Foundation. Winner High School cheer and dance teams placed at the Winner Invitational on Saturday. There were nine school competing. The Winner cheer team took second place. 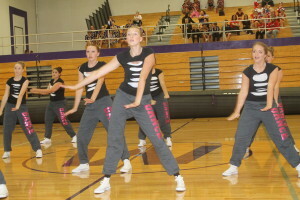 In dance, hip hop took 2nd; kick, 3rd and pom, 3rd. The overall dance trophy went to Dakota Valley.